Individually hand made in solid wood. 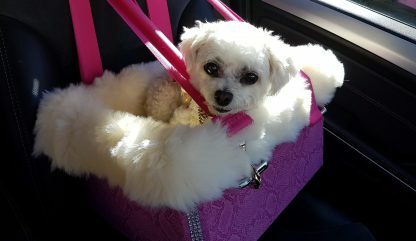 This is the Rolls Royce of Doggie Booster seats. 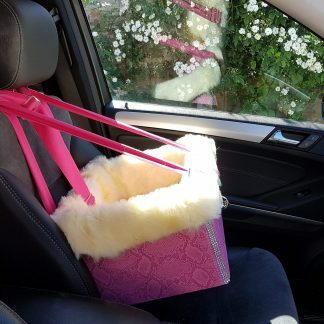 Built to last, looks good and be a heavenly comfy place for your dog to sit in, sleep in, look around out of the windows and be safe in while you drive. If your dog is anything like mine…she would rather be on my lap so this booster seat is perfect. 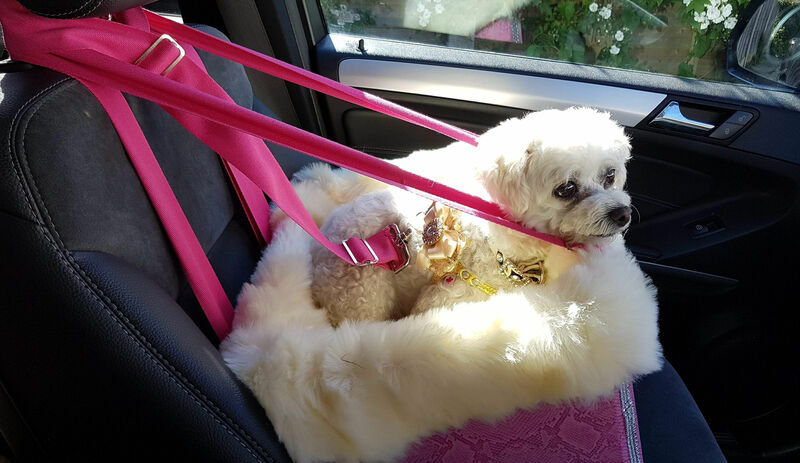 Open the window on a hot sunny day and you know your dog is tethered to the seat so even if they put their head at the window…you feel safe in the fact that your dog CAN’T jump out at all. Plus will only be able to get as close to you as you choose by adjusting the seat belt. 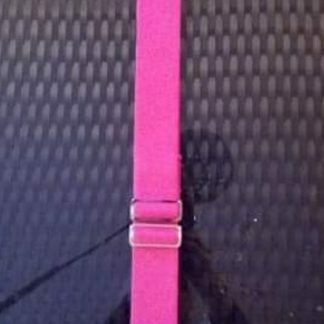 The seat belt can clip on to your dogs harness (the best option) or collar (obviously not the safest option if you had an accident it could hurt your dogs neck). 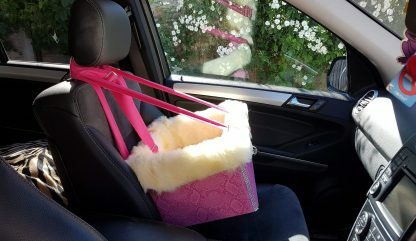 There are plenty of cheap versions of colapsable dog seats on ebay but as I found…they will collapse in a week and you will be looking around for another LOL. Our Doggie seats are solid! Made from quality products. 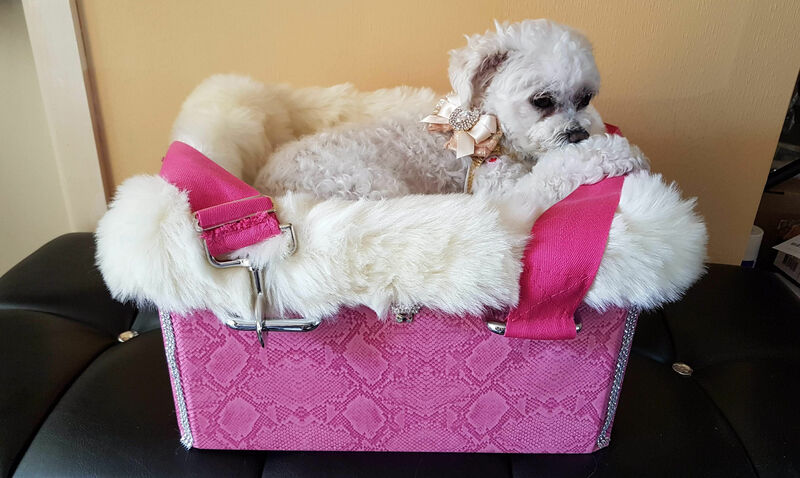 Glamorous looking & luxurious for your prized fur baby! The seat can double up as you could use it indoors too and/or a handy travel bed…my dog loves it.